Maleficent returns in vinyl form as the ninth character to join Funko and Disneys POP! Series 1 figurine collection. Made of high quality vinyl and measuring four inches tall, Maleficent is a musthave in any collectors showcase! Collect all 12!There's only one Maleficent, here she is in vinyl. 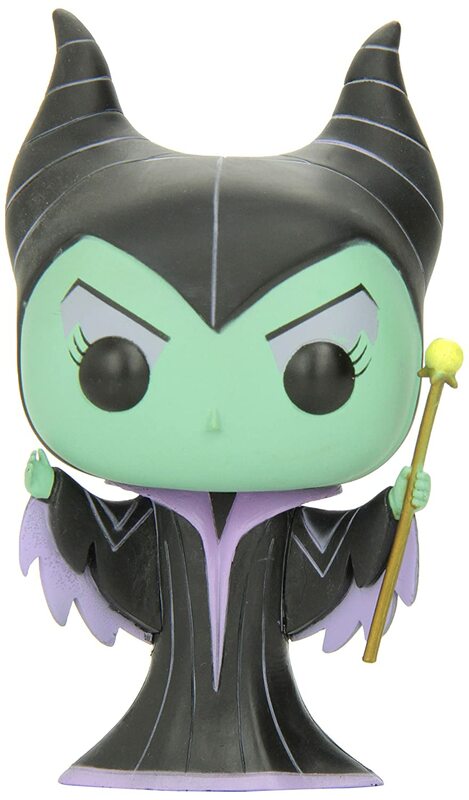 This 3 3/4" Disney Maleficent Pop. Vinyl Figure presents the mascot of Disney's rich animation history, poised to add some pop culture to your house in a unique stylized form.